This information has been provided by the Center for REALTOR® Development. As a real estate professional, the most important thing you can do to support your clients on the topic of reverse mortgages is to get educated about them yourself. Brokerages, associations and other sponsors regularly offer classes specifically on this topic. Attend these until you are confident in your understanding. The classroom or online Seniors Real Estate Specialist (SRES®) Designation Course, which leads to the SRES® Designation, also offers excellent and very thorough education on reverse mortgages, as well as many other aspects of financing for older clients. For a vast majority of homeowners over the age of 50, their home represents their largest asset. A home equity conversion mortgage (HECM)—commonly called a reverse mortgage—allows owners to convert this accumulated home equity into cash. Payout is tax-free and can be monthly, as needed, lump sum or a combination. We call it a “reverse” mortgage because money paid in over the years (plus appreciation) is paid back to the homeowner, who still retains title and continues to live in the home. Reverse mortgages amortize negatively, which is a fancy way of saying that the cash the borrower receives today gets tacked onto the balance owed at the end, including interest, which accrues deferred. The borrower or heirs can never owe more than the property is worth, and the lender cannot touch any other assets, which is a huge plus. As long as the borrower lives in and maintains the home, there is never any repayment obligation. Things that may trigger repayment, however, include a move, a specific maturity date, death, sale, failure to pay taxes and insurance or make repairs. The borrower may pay off the loan through sale of the property or prepay at any time without penalty. 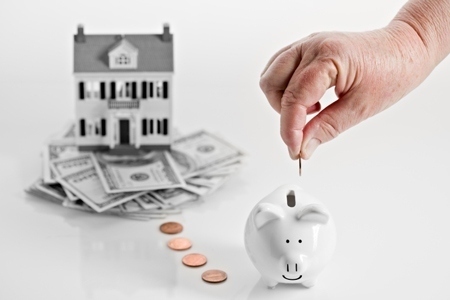 Homeowners use the cash from reverse mortgages for a variety of personal reasons. These can include postponing drawing on Social Security, providing a steady monthly income, eliminating current mortgage payments, preventing foreclosure, paying off debts and expenses, buying a second or new home, and renovating or retro-fitting for aging in place, among others. Reverse mortgages can have very complicated eligibility rules, terms and fees. If interested, it is important for your client to get expert counseling, guidance and advice on the benefits and drawbacks of this approach, and to objectively consider selling their home as another possible option. If clients are interested in exploring whether a reverse mortgage makes sense for their situation, your job will be to guide them to find qualified finance advisors who can further assist them. Nonetheless, your understanding of them as an option, and the confidence with which you can speak about them generally, can be a great differentiator for you in the 50-plus market. For more education about reverse mortgages and serving mature clients over the age of 50, check out this month’s featured designation online course at the Center for REALTOR® Development, Seniors Real Estate Specialist (SRES®) Designation Course, which is on special for 25% off this entire month of May, and is the educational requirement for the SRES® Designation.